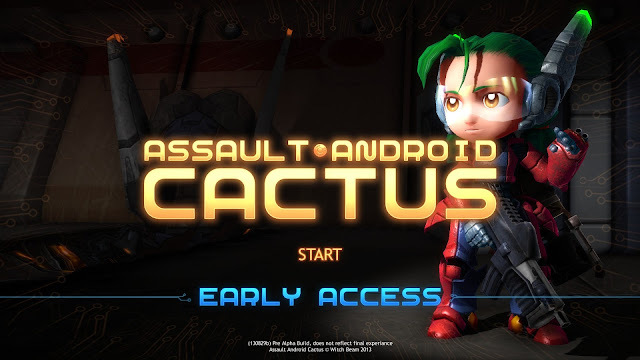 Assault Android Cactus: Demo and Early Access are now available on Steam! Demo and Early Access are now available on Steam! I am proud to announce that we now available on Steam on Windows, OS X and Linux! 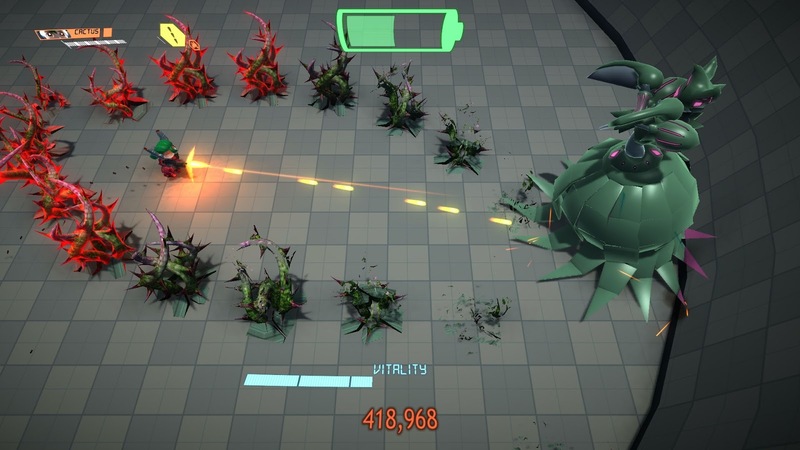 Head over to our Steam page to grab the demo, it consists of the tutorial, three levels and the first boss and is a great introduction to what Cactus is all about and see how the game runs on your machine. For those wanting to go further, we are taking part in the Early Access program! You can buy the game right now and grab our latest work in progress build and start playing! We'll be updating as we go and it's a great way to get in on the ground floor, watch the game grow and help us make sure that Assault Android Cactus is everything it can be! 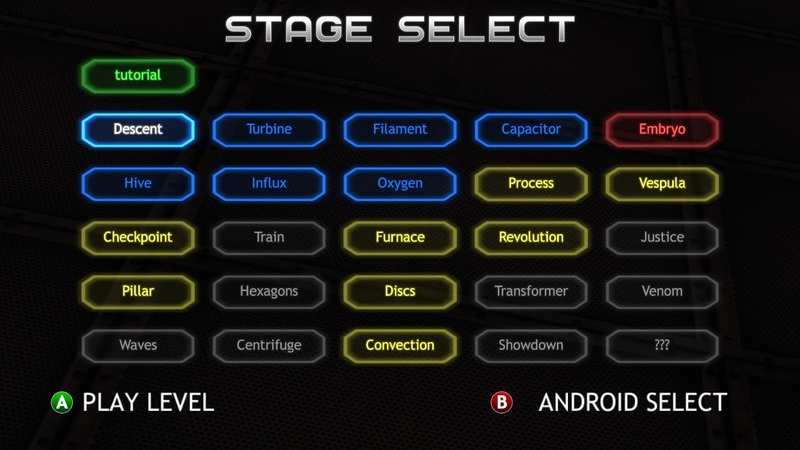 This is our current Level Select screen, showing the content that's available right now. Blue and red levels are pretty much done, the yellow levels are playable but in whitebox form. That means grey levels with grid textures and placeholder effects. The super observant among you might notice Vespula over on the right there, the Queen Boss has not only acquired a name but is now fully operational. I'll continue covering the process of building her in future blog posts, but you can jump in and take her on right now! She's sort of terrifying at the moment, and most likely going to see some refinement in future updates, but that's the fun of Early Access. We've already got some great feedback from people already and I hope we are able to live up to everyone's expectations. Finally, if you want to get in on the action but would rather not go through Steam, we have also partnered with the Humble Store to offer a more direct way to get the game! Head over to our Buy page for details!